A Colonial Revival built in 1934 having belonged to our client’s grandparents had stayed true to it’s elegance and detail, but was in need of some updates and enlargements for a family of six. In planning for the additional space, there was a deep desire to honor the scale and flavor of the original home as well as some sentimental aspects of the design. The hub of the home is now a lively and generous kitchen-den that extends to a spacious raised porch. The porch serves to expand the outdoor living as well as take advantage of a neighboring wooded lot. 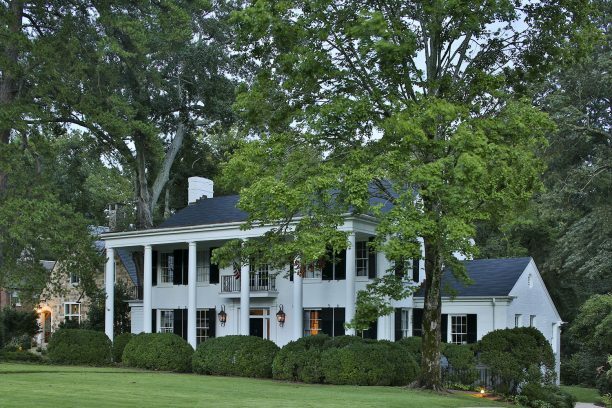 This is a seamless addition that holds true to the original simple design of this beautiful classic home.